This small batch, hand-crafted blend is made using aged spirits that have been produced in two different ways to add complexity. It is finished in deeply toasted and charred bourbon oak barrels, a technique that releases aromas of spice balanced with oaky vanilla and almond overtones. Small batch handcrafted rum. Mount Gay Black Barrel is a small batch handcrafted blend made of aged double pot still distillates and aged column distillates, finished in deeply toasted and charred Bourbon oak barrels. 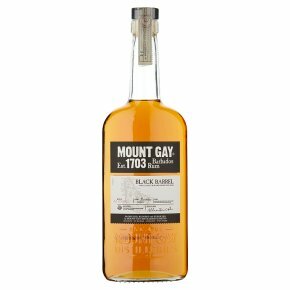 The unique technique releases aromas of spice balanced with oaky vanilla and almond overtones, the signature notes of Mount Gay's smooth and refined Barbados rum.